It's almost Christmas! 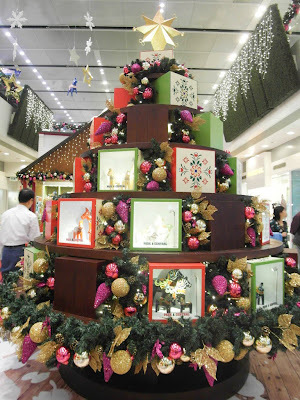 And Hong Kong malls also have been busy preparing festive decorations. Each mall has a unique theme, and I spent a whole day traveling to a ton of malls to capture each mall's Christmas decorations. Their theme color is purple, and they have really whimsical style trees and rain deer displays. 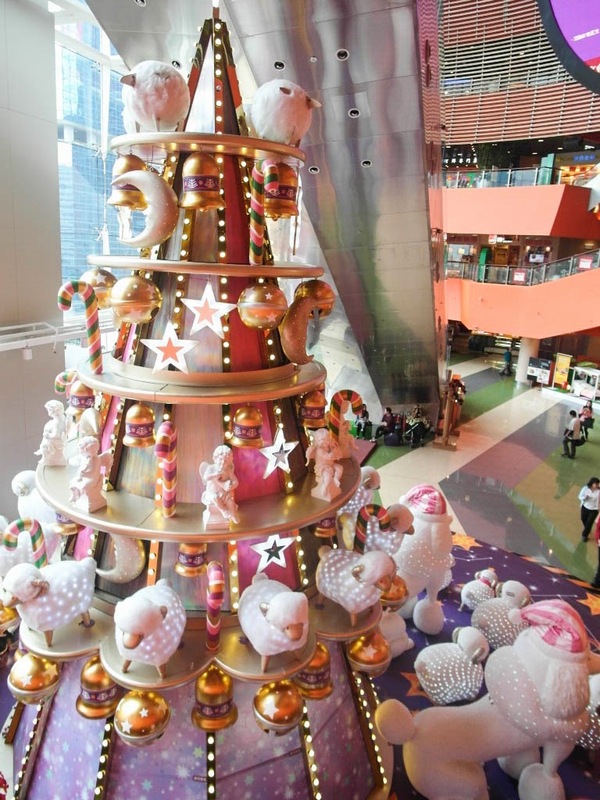 It's perfect for girls who love that royal princess feeling. 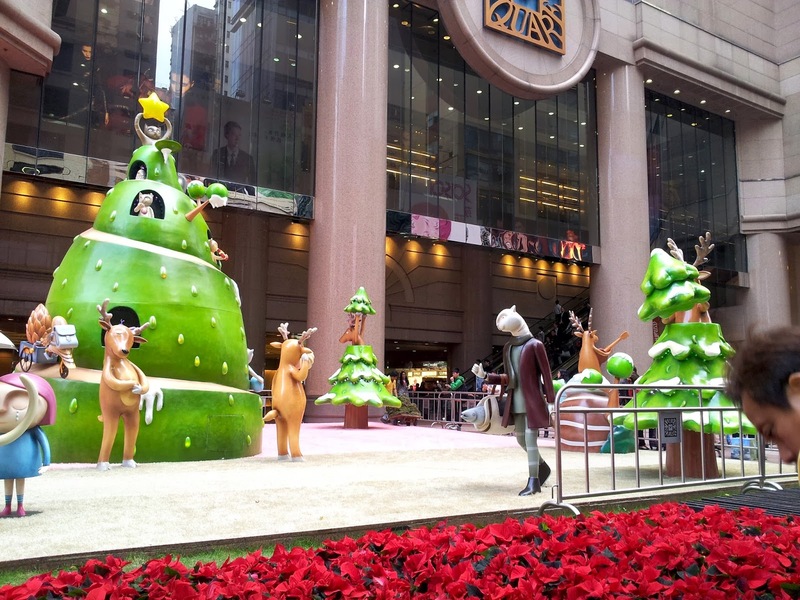 They have really cute cartoon style displays with reindeers as the main character. They've also filled their gardens with the iconic Poinsettia flower that symbolizes the Christmas spirit. On the bottom floor of Times Square where City Super is located, there are giant displays of toys and figures that move and twirl around. 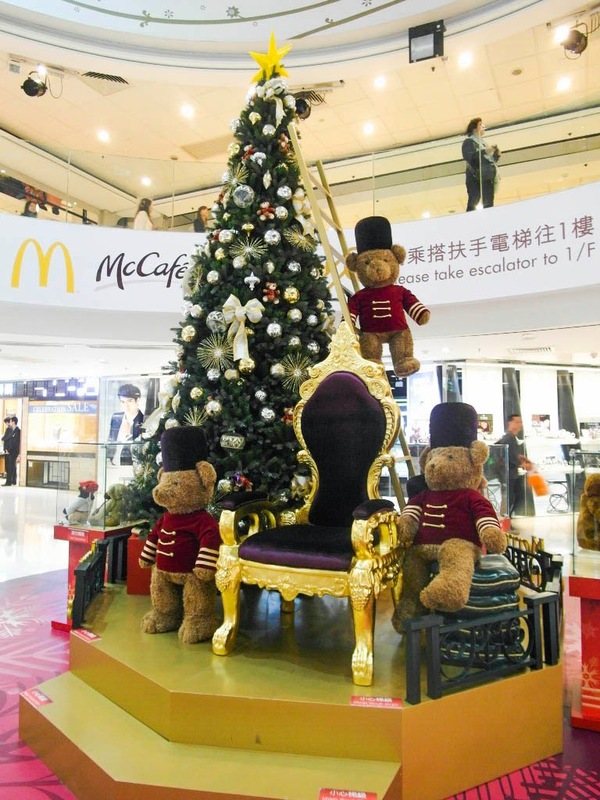 It's available for purchase but comes with a pricy tag. 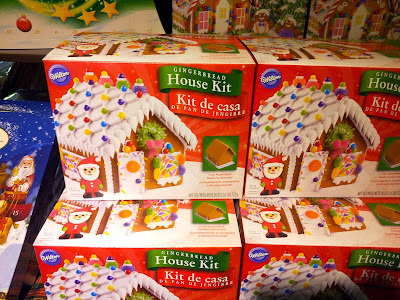 If you're not prepared to spend that much on Christmas decorations, perhaps you can head inside the supermarket and get a ginger bread house kit and make one yourself! This year The One has a very special theme. 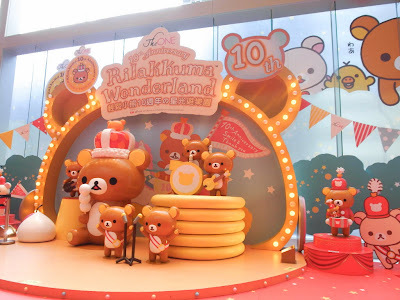 For all those Rilakkuma Bear fans out there, this is a must see! 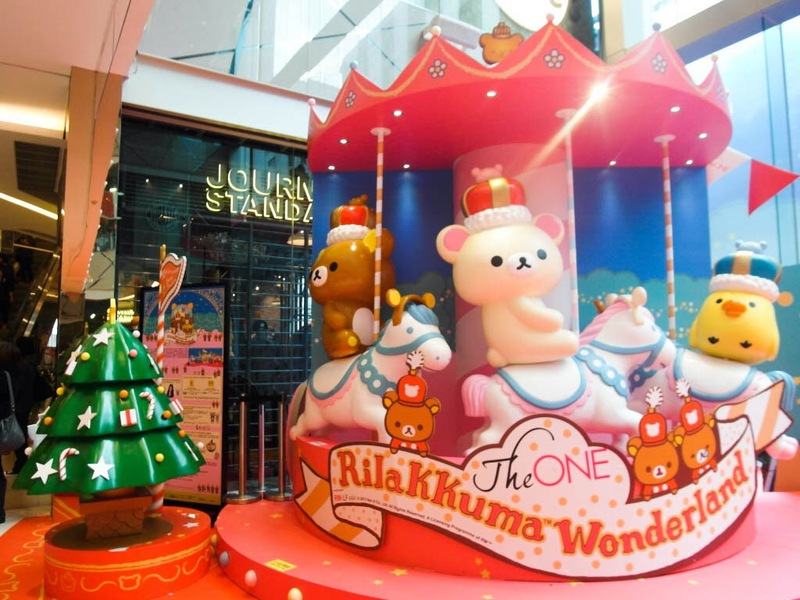 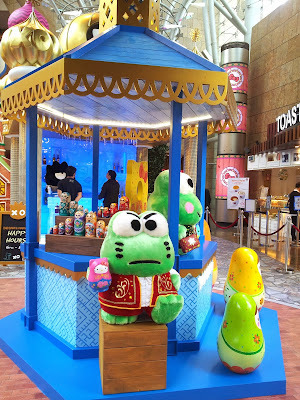 All of their decoration features this cute adorable Japanese bear, and there are also events every weekend for people to win free Rilakkuma Bear gifts! 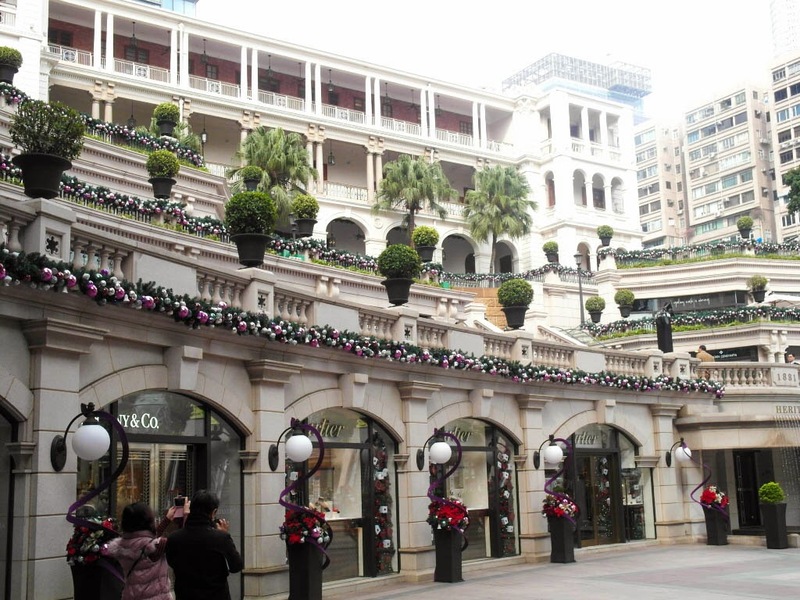 Just a little bit further north of Harbour City is the China Hong Kong City where the terminal for boats to the mainland is located. They have a teddy bear theme. 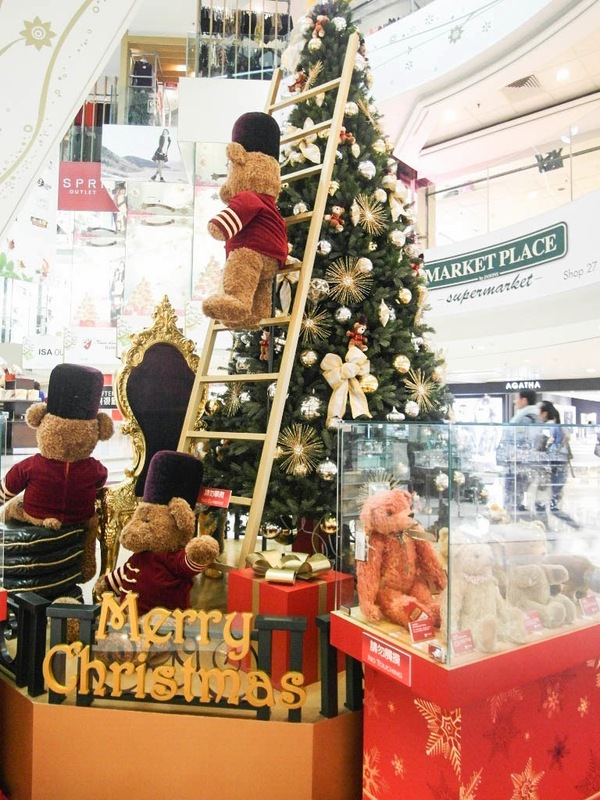 There's a show case of different styles of teddy bears. 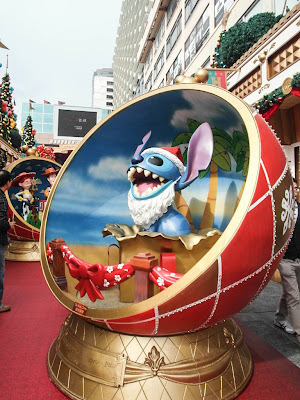 This is my favorite Christmas decoration of all time. 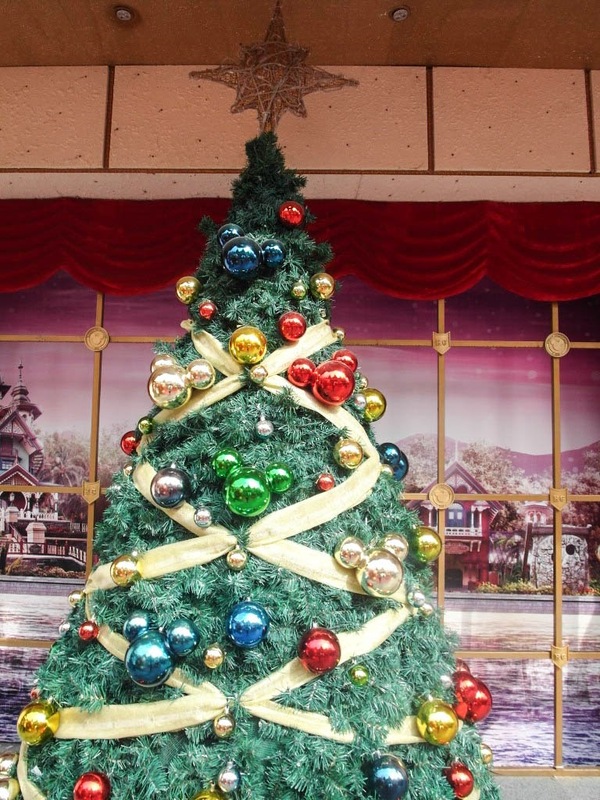 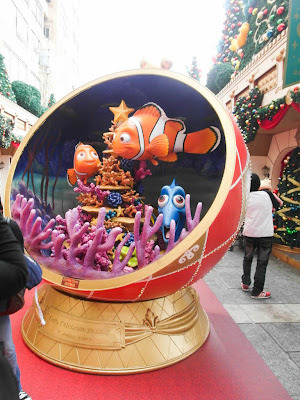 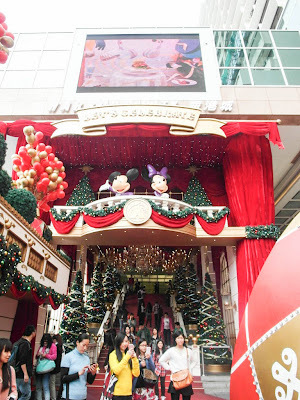 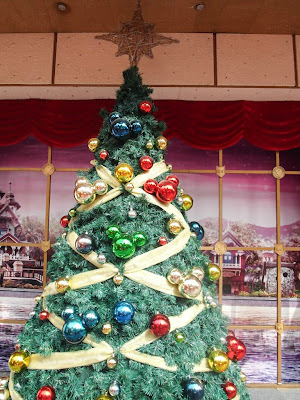 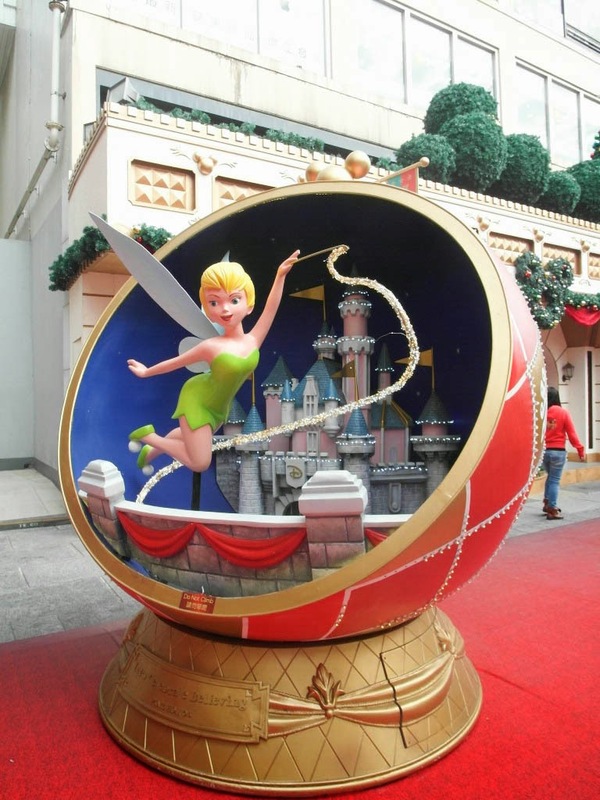 It's Disney themed, and the most glamorous and well designed decoration out of all the malls. 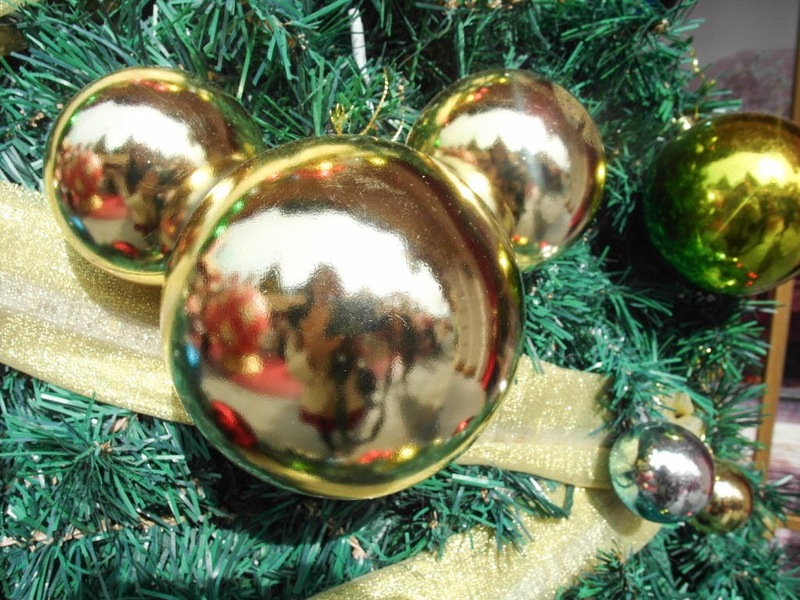 All of their ornaments, reefs, and balloons are Mickey shaped. 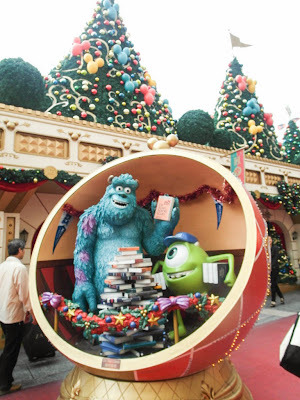 They also have multiple giant ornament balls on the ground floor outdoor area, and inside each ornament ball is a disney character celebrating Christmas. My favorite one is of course, stitch! 1881 Heritage is for a more mature and sophisticated crowd. The decorations has an elegant and royal feeling to it, with purple, silver, and gold as the main colors. 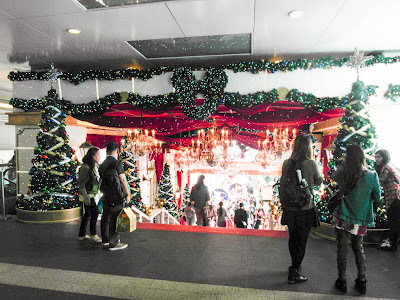 While taking photos I actually ran into two groups of people taking pre-wedding photo shoots! 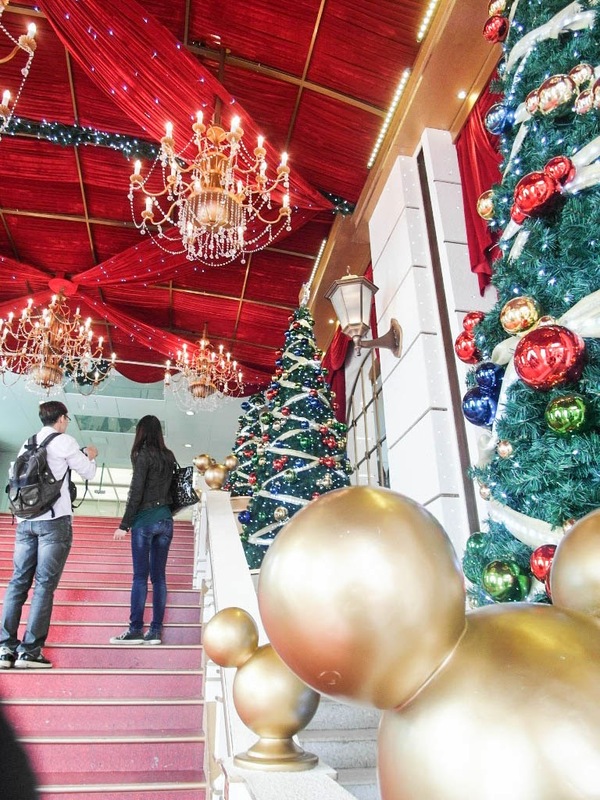 Lucky for them, their photos will be stunning. 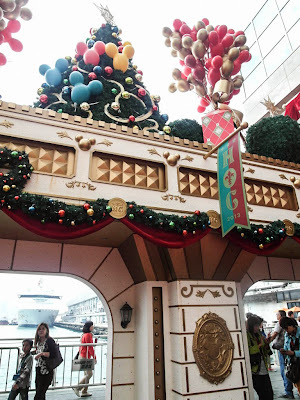 Both of the giant displays of Christmas tree and bell rotates on the platform so everyone can enjoy the view. 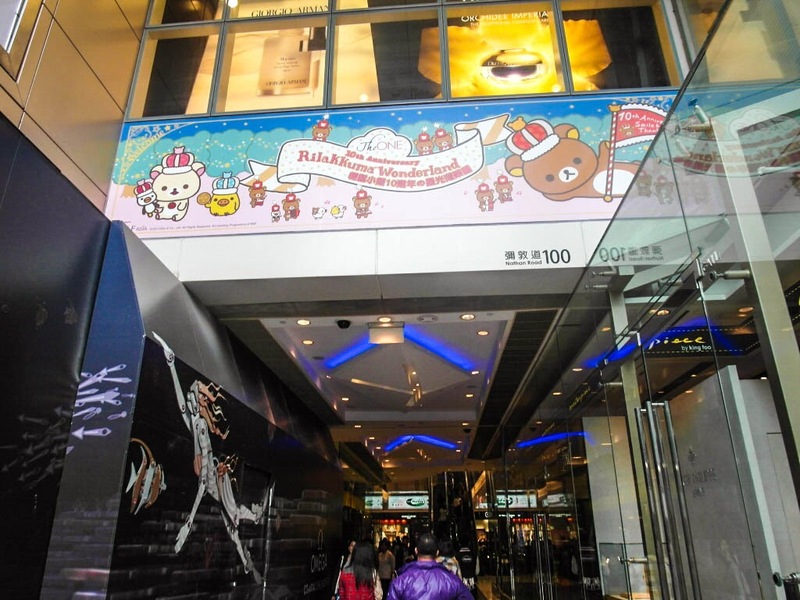 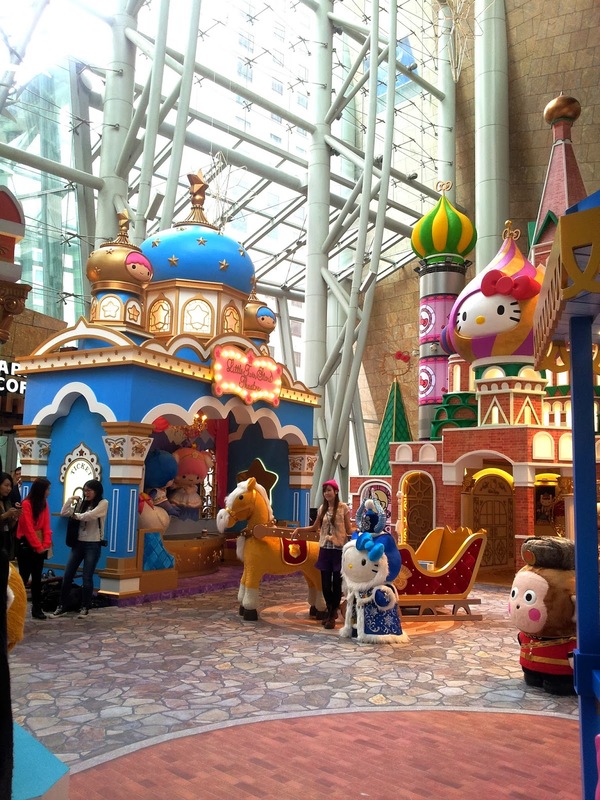 Mong Kok's favorite hello kitty theme takes over Langham place! 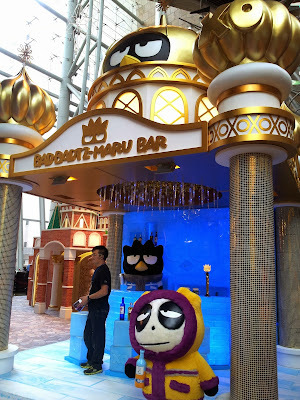 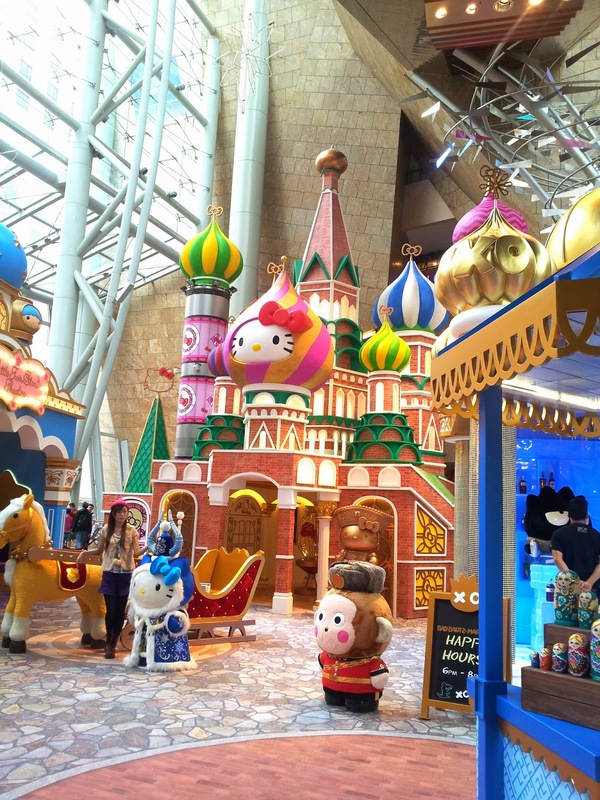 There are huge hello kitty castles as well as a Badbadmaru Bar! 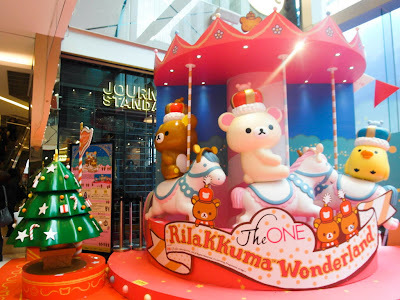 I'm sure if you're a Rilakkuma fan, you would also love this display. 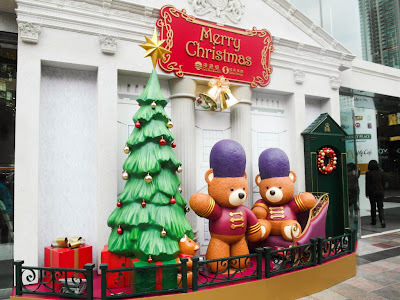 All the way out on the east side of Kowloon Island in Kowloon Bay, there are 2 more malls with awesome Christmas Decorations. Telford Plaza is Penguin themed. I find it really special. 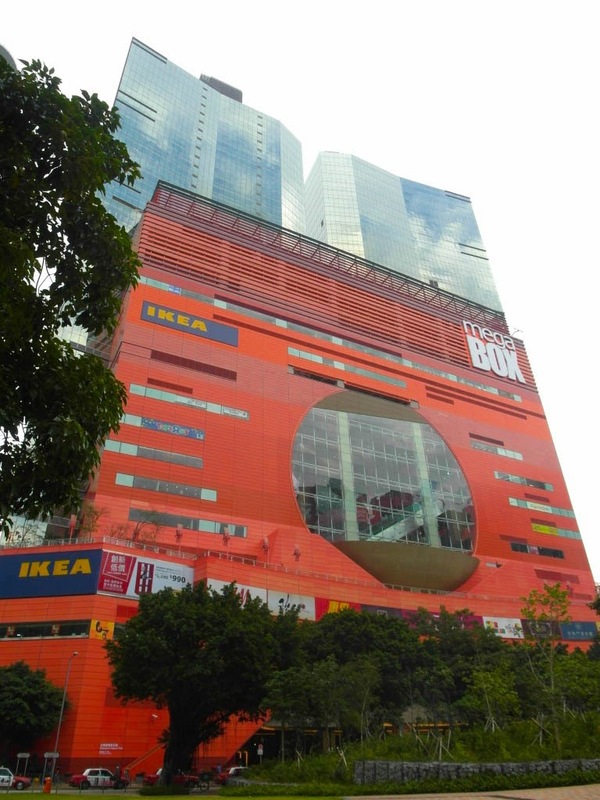 Originally Telford Plaza wasn't on my list of places to go, but I ran into it while trying to find Megabox. It's connected to the Kowloon Bay MTR station. 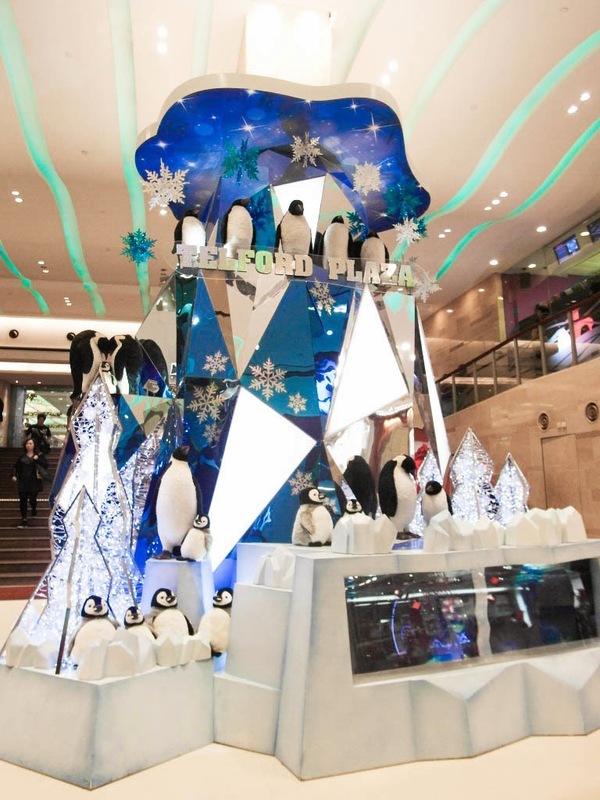 I think for the first time I've seen penguins as the center character for a christmas decoration! 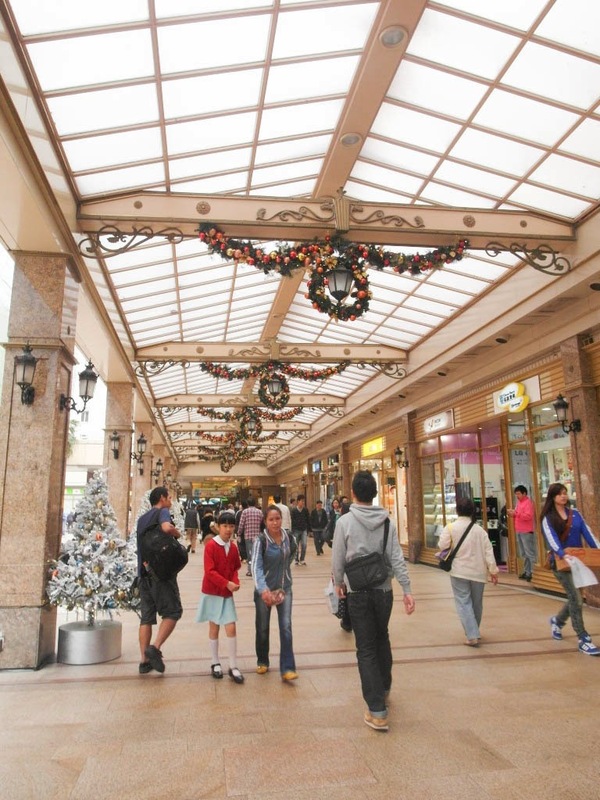 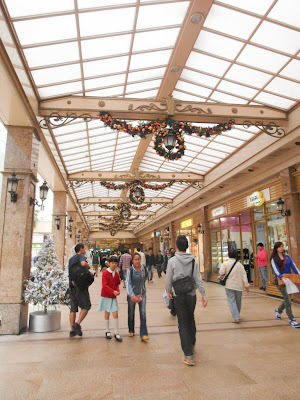 And the walkway for the stores outside of Telford Plaza is also very pretty. You feel like you're in a small village in Northern Europe! 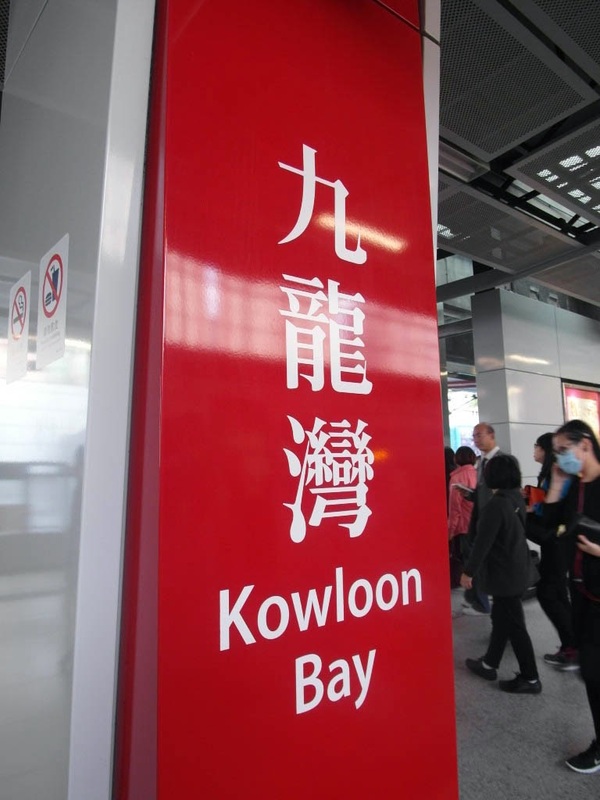 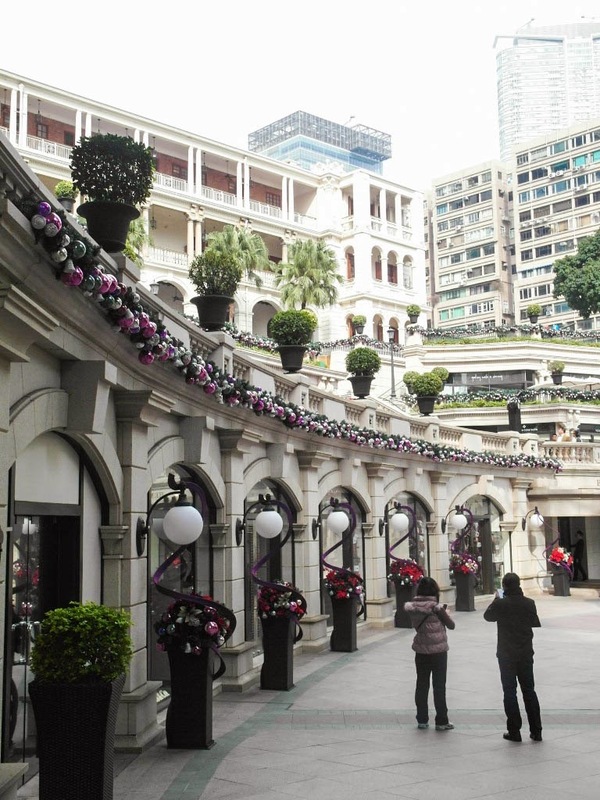 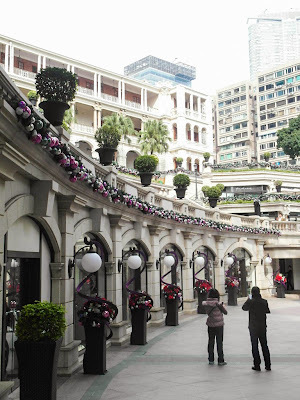 Unlike the center of Hong Kong Island, Kowloon Bay has a lot of open area, so it's perfect for a relaxing day. 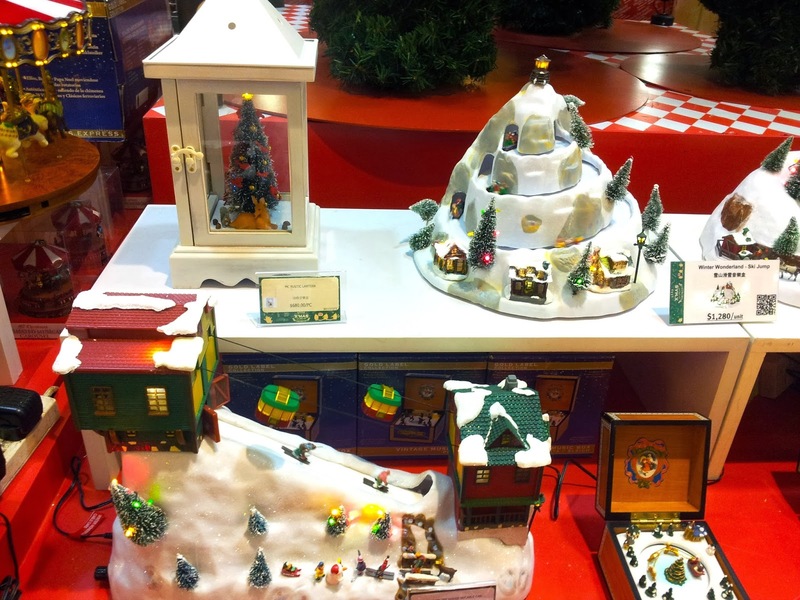 Mega Box also has one of my favorite displays. 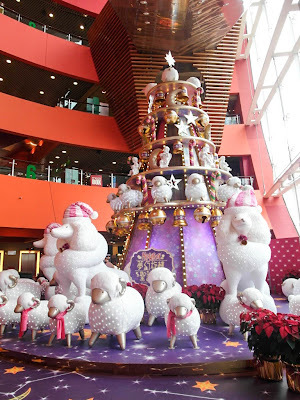 The main characters are the fluffy Poodles and Sheep! 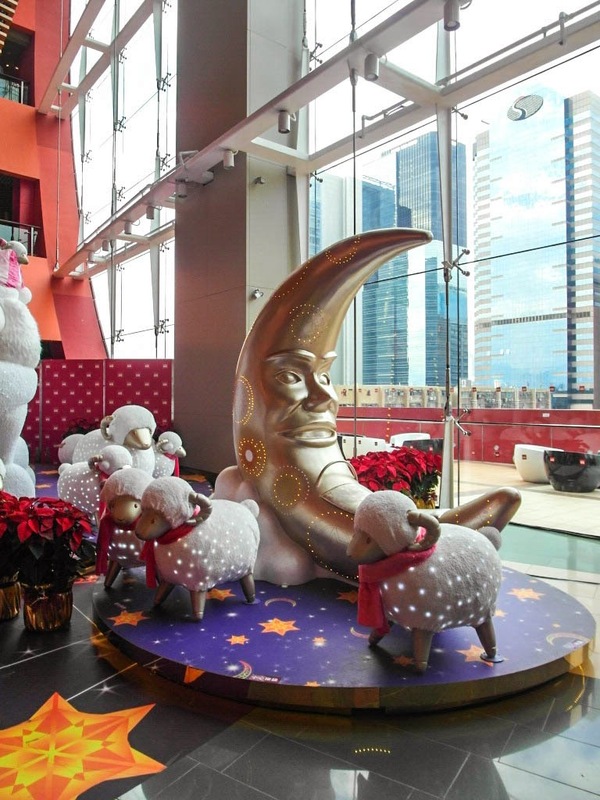 It also has a lot of stars and moons, and is purple in theme. 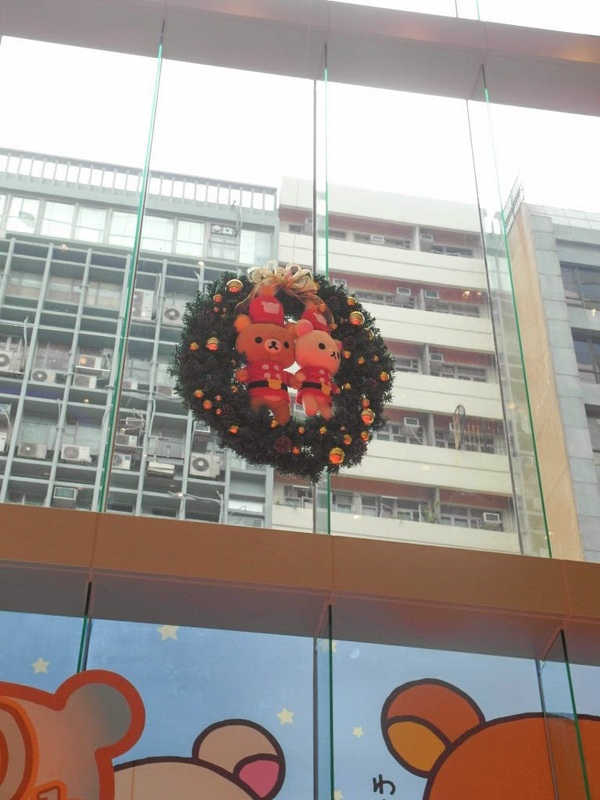 It just makes me feel really calm, like on a quite Christmas snowy night. 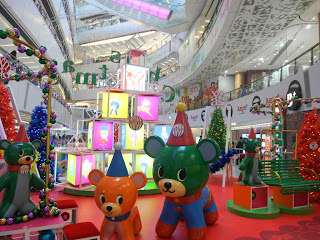 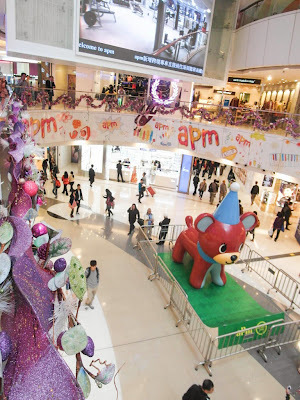 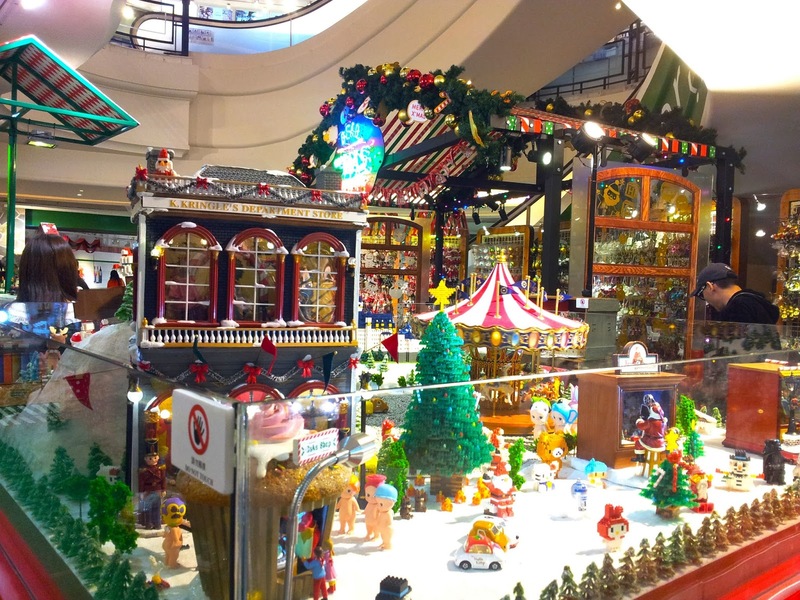 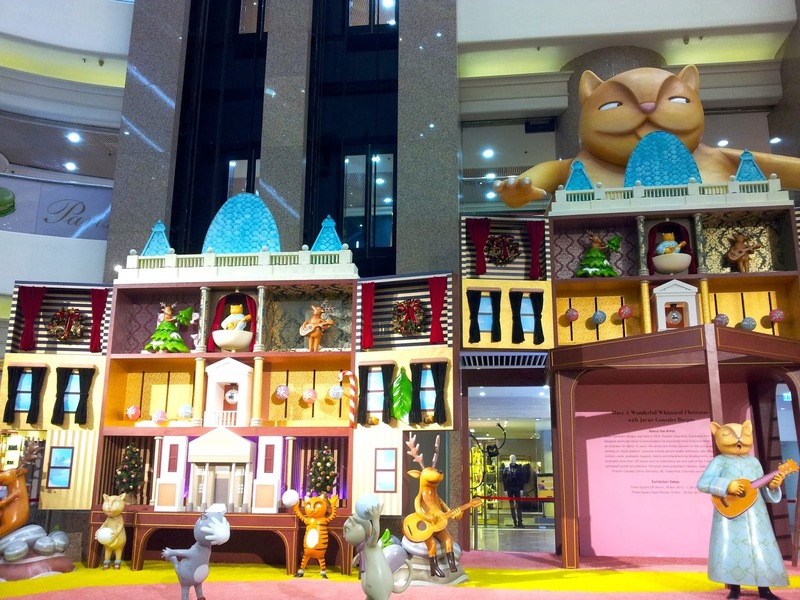 Kwun Ton's mega MTR mall, apm, has a Christmas display surrounding Children's toys like building blocks and teddy bears. This is perfect for people who have small Children. 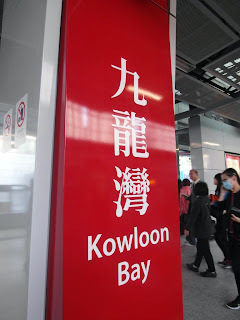 And last but not least, all the way out in Tseung Kwan O station on the far east end of Hong Kong island. For those rocking horse lovers, this place is perfect! 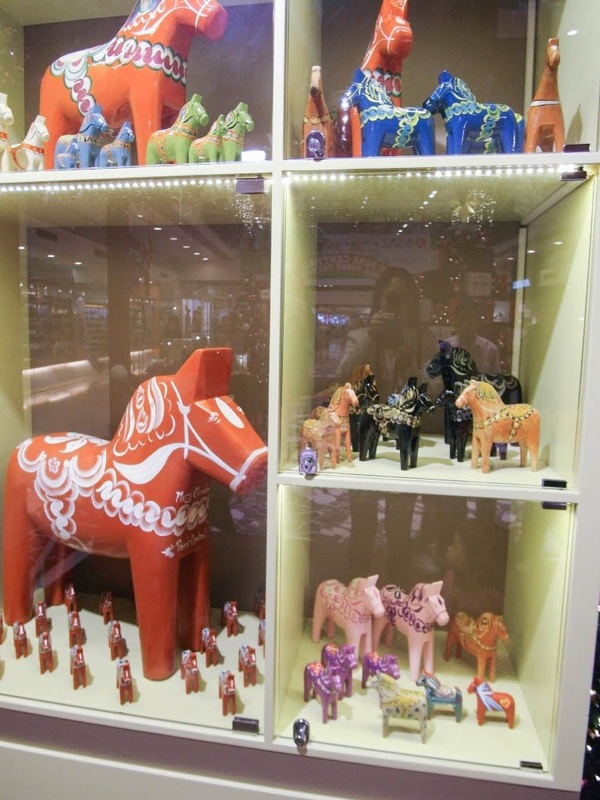 There's a really nice collection and display of rocking horses of all sizes and designed. 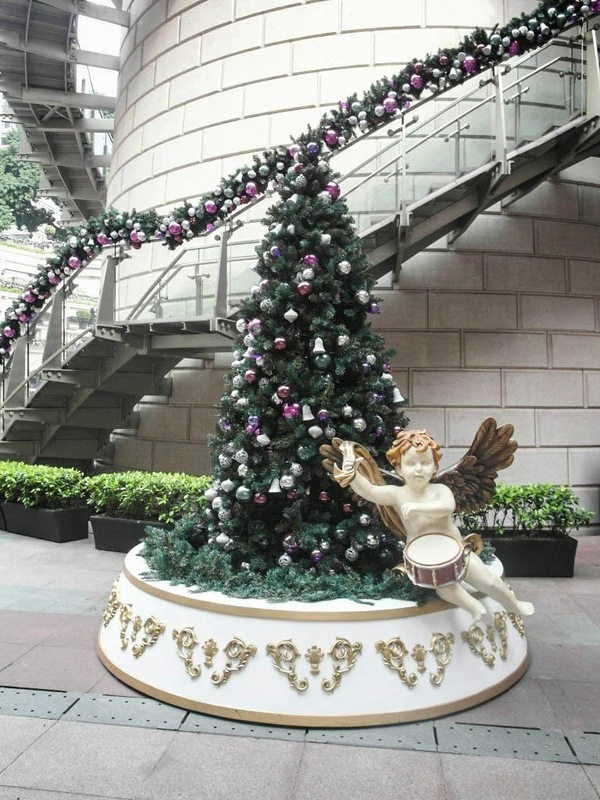 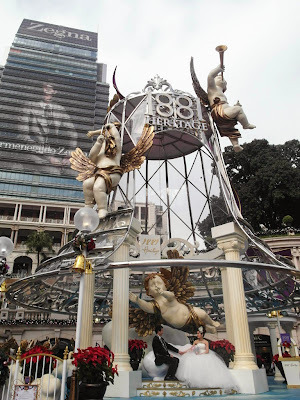 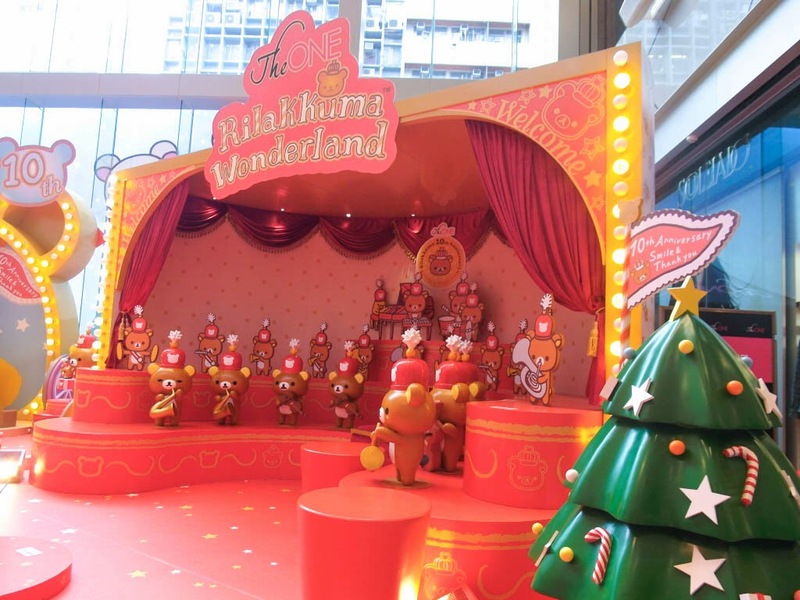 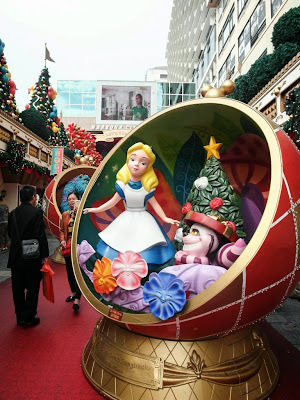 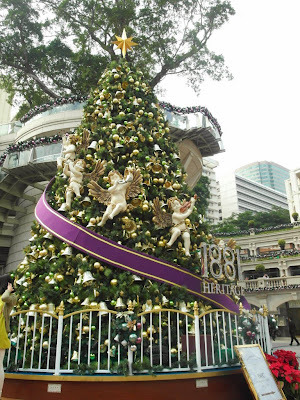 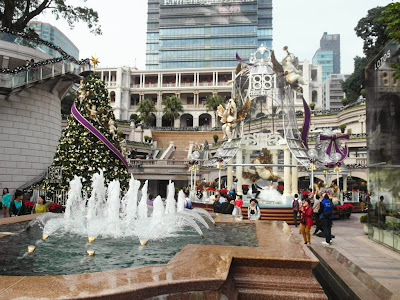 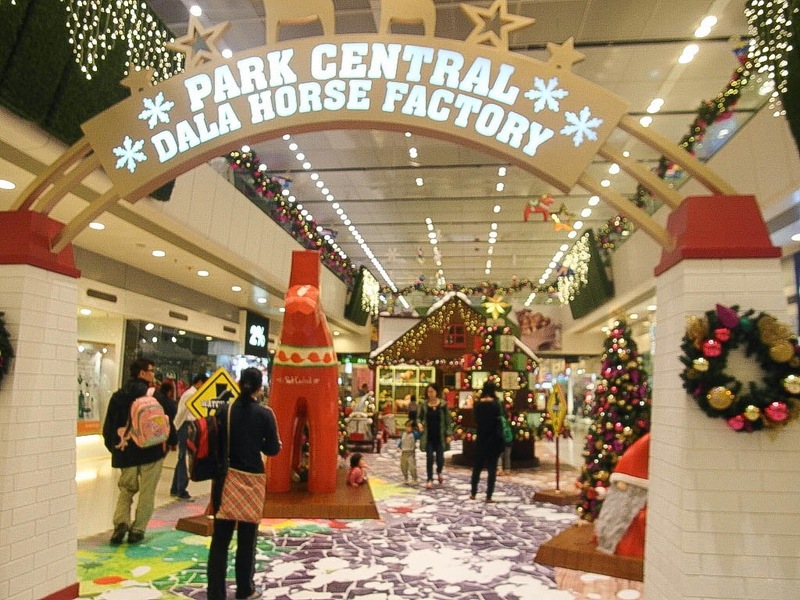 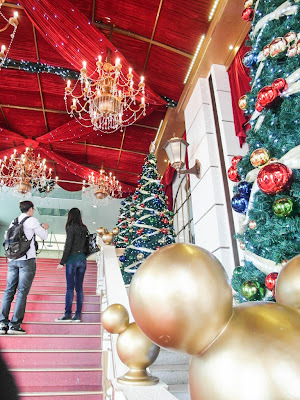 I know this is definitely not ALL of the amazing Christmas displays that Hong Kong has to offer. 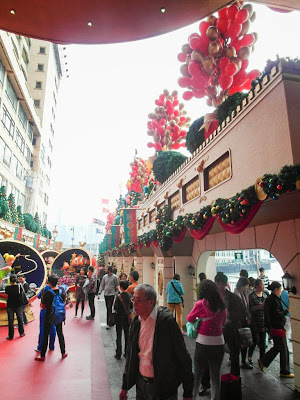 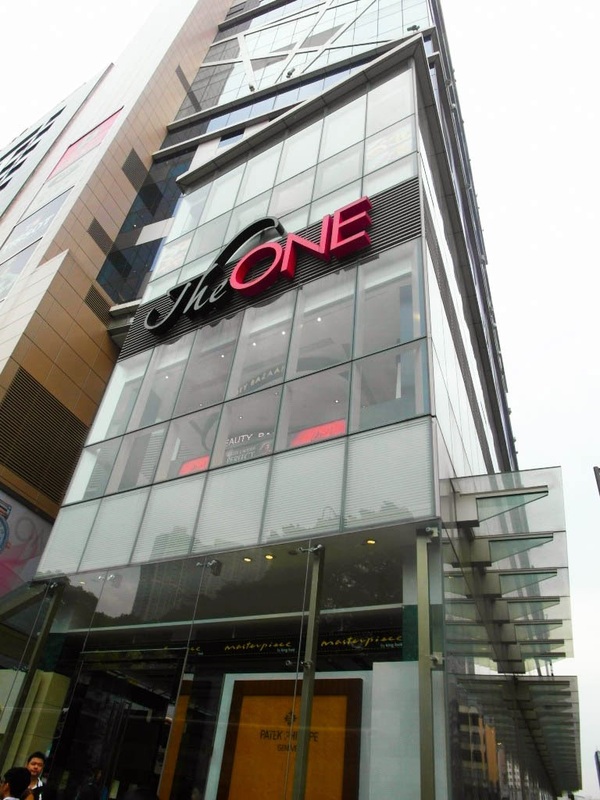 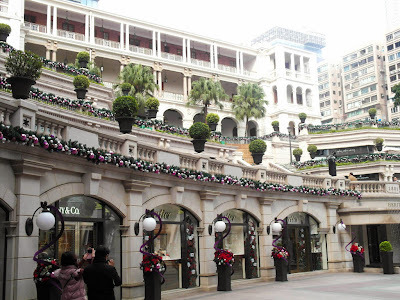 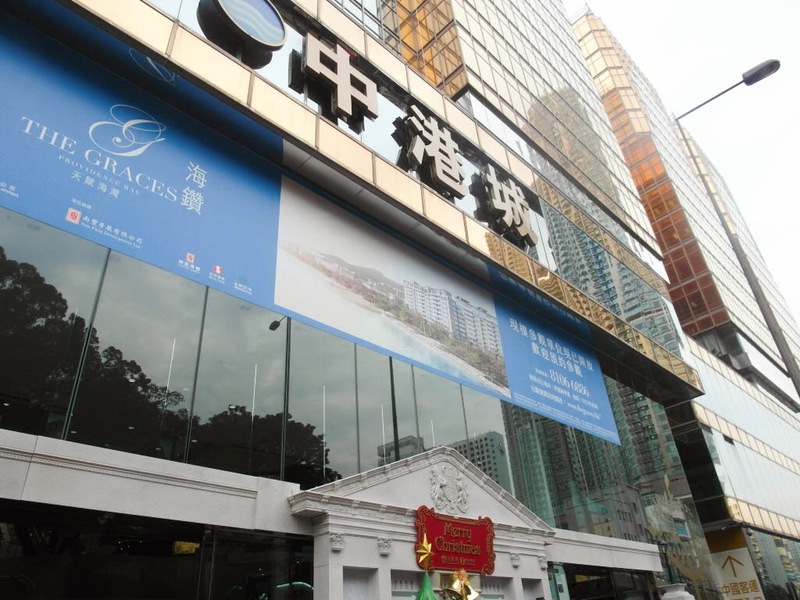 I've yet to visit Festival Walk, Statue Square, and Sha-Tin Mall, and I know those will be amazing! 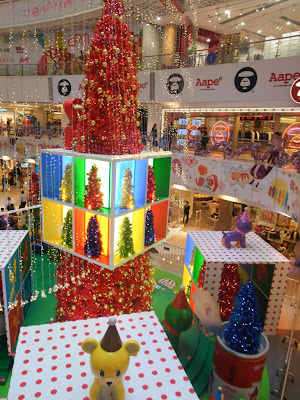 Let me know if there are any other amazing malls I should go see this year! 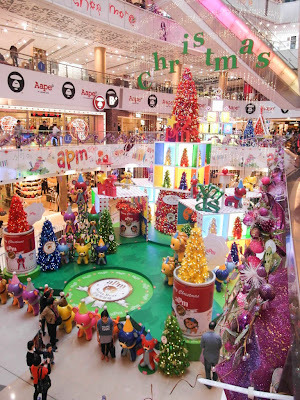 And I hope everyone is enjoying the Christmas season!